Many scholars of the Holocaust have come to believe that when a Holocaust survivor tells a story that sounds too incredible to be true, it may be just that: the truth. Such is the story of Lilly Zelmanovic and her photo album. 18-year-old Lilly Jacob was deported with her family, and most of the Jews of Hungary, in the spring of 1944. On the ramp at Auschwitz she was brutally separated from her parents and younger brothers; she never saw any of them again. She was lucky and survived; yet, she was not always convinced of the blessing of having survived totally alone, bereft of family, friends and her world. It was also, as we now know, the only photographic evidence of Jews arriving in Auschwitz or any other death camp. After the war Lilly found and married Max Zelmanovic, a prewar acquaintance. Selling glass-plate prints of the album to the Jewish Museum in Prague enabled the couple and their first-born daughter, Esther, to immigrate to the United States. They settled in Miami and raised a family, yet the album continued to be central to their lives. Survivors spread the word of a unique album in the possession of a waitress in Miami, and they made their way across the country to seek her out, and to hope against hope that their lost family, like hers, might be engraved on its prints. Not a week would go by but Lilly would bring home strangers who were not strangers, and they would pore over the pictures and weep. Rarely, someone would identify a family member, and Lilly would give them the snapshot. Since most of the Jews had been murdered, leaving no living trace, most of the photos remained unclaimed. 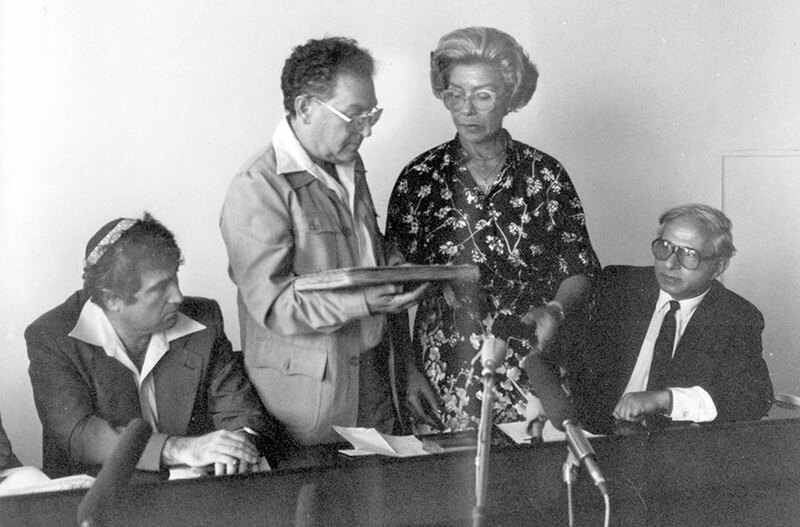 In 1980 Serge Klarsfeld convinced Lilly (pictured right) that the album should be safeguarded at Yad Vashem. She came to Jerusalem, showed it to Prime Minister Menachem Begin, and donated it to Yad Vashem, where it resides to this day and is treasured for the future. On December 17th 1999 Lilly Zelmanovic passed away. May she rest in peace.